Celebrate the birth of a baby girl with our Precious Baby Bouquet. 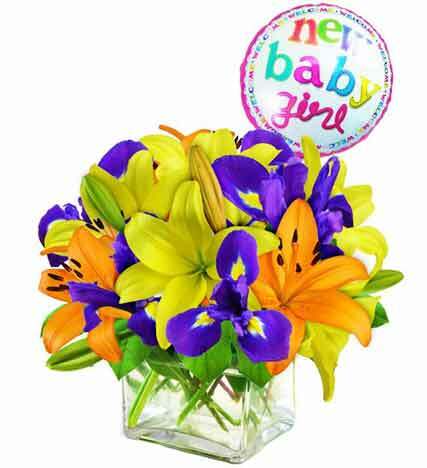 Bright yellow and orange lilies and vibrant blue iris' are accented with purple iris. Nestled in a cube vase, the arrangement is topped of with a baby girl mylar balloon. Let everyone celebrate your new addition! Deluxe Arrangement depicted in photo above.